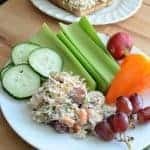 Quick and Easy Summer Chicken Salad is one of my favorite dishes to throw together in a hurry and eat for the next few days. 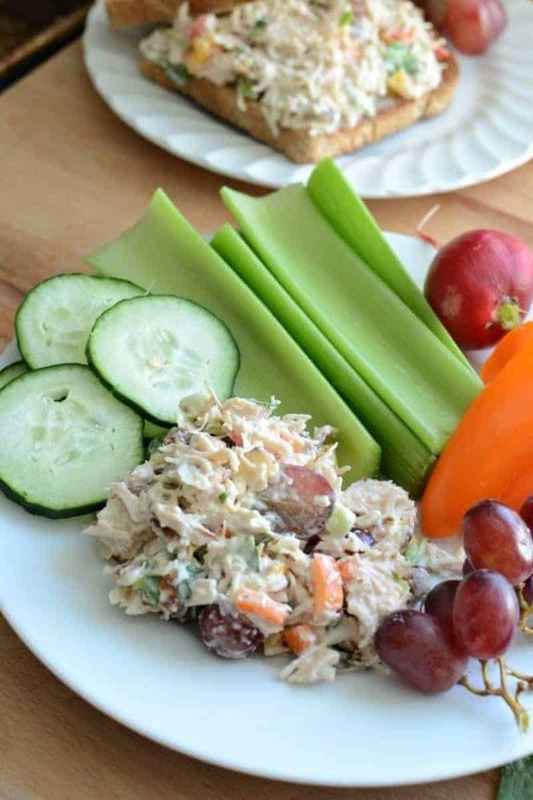 My kids and husband love this chicken salad and I love all the great flavors and vegetables it has. The best part? You can eat it however you see fit. I like to use mini bell peppers, celery, and cucumber to dip into the chicken salad. My kids liked it served on top of cracker, and my husband likes it on toasted whole grain bread with extra mayo on the bread. No matter how you eat it, it’s great. 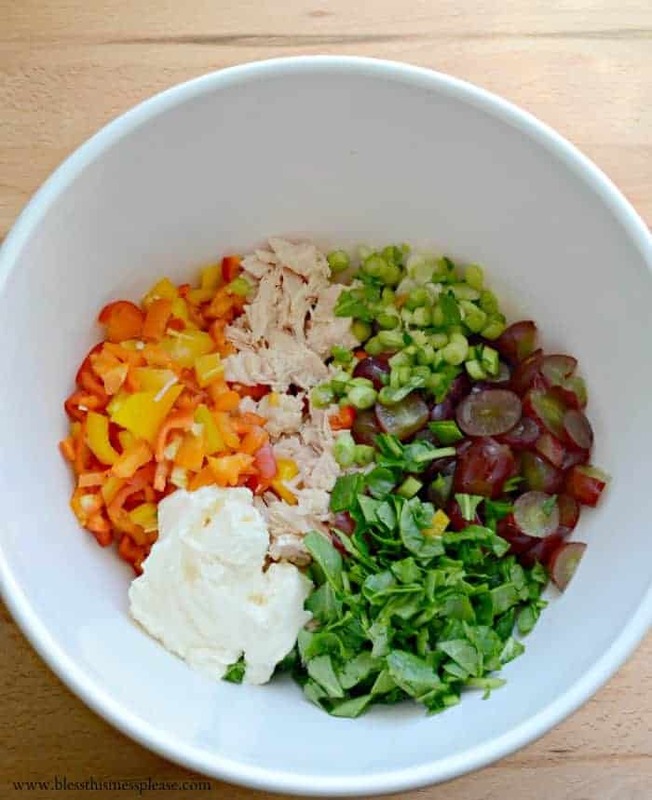 This simple summer chicken salad salad is also a really great dish to take to friends and family who need a meal. Whether they have a new baby in the house or have a sick family member, this simple dish is sure to please. I love that it doesn’t need to be heated or cooked before eating. It’s the perfect thing to grab when you are hungry and need something now. 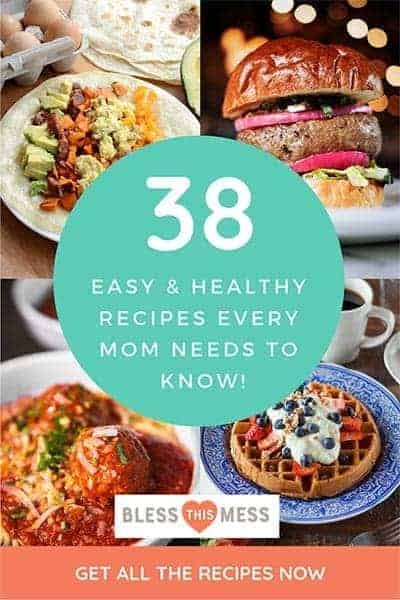 Add some fruit, cut up veggies, and even a bag of your favorite potato chips and a loaf of bread and you’ll be sending a bag of cheer that is ready on demand with no effort on their part. Bonus points if you send along some of these chocolate chip cookies. 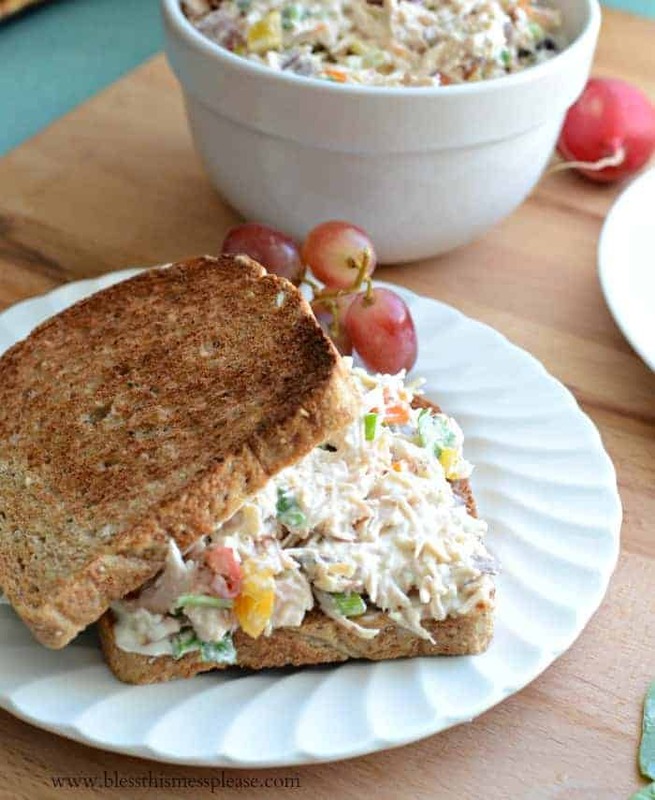 This chicken salad is great for leftovers. Store covered in the fridge for up to 3 days. Serve with fruit, cut up veggies, your favorite potato chips or put it on bread for a yummy sandwich. In a medium bowl combine all the ingredients and stir well. Add more mayonnaise and salt and pepper to taste. Serve on bread, dip it on to crackers, eat it on celery and mini sweet bell peppers. Store any leftovers covered in the fridge for up to 3 days. Thank you! 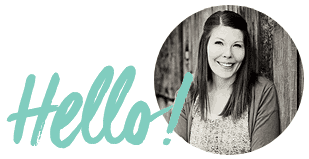 I’m so glad to share this with you today. 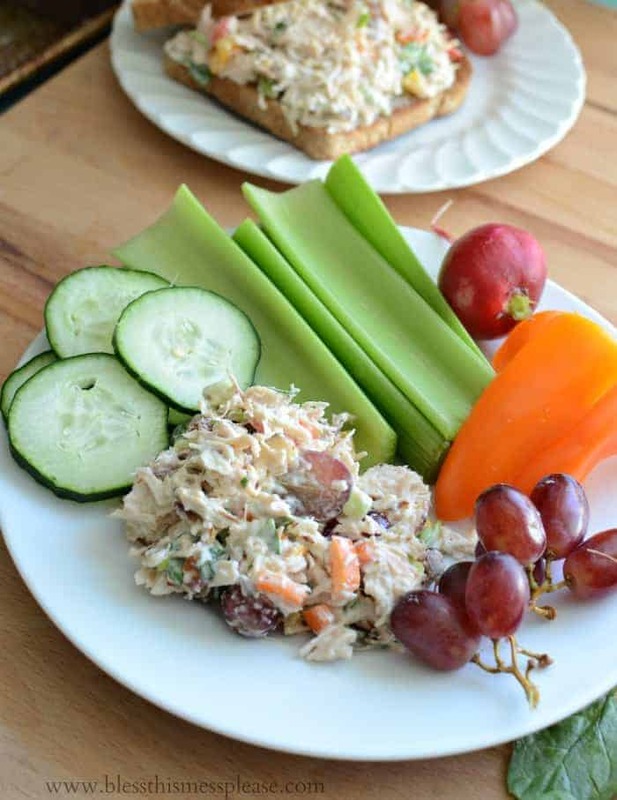 Your chicken salad looks terrific—true comfort food! I can’t wait to try it. So glad to be joining you in helping out the Wagner family. I am totally craving this right now!